The Waldorf curriculum is broad and comprehensive. Structured to respond to the three developmental phases of childhood—birth to 6 or 7 years, 7 to 14 years, and 14 to 21 years—Steiner stressed to teachers that the best way to provide meaningful support for the child is to comprehend these phases fully and to bring age appropriate content that nourishes healthy growth. Music, dance and theater, writing, and literature are not simply subjects to be read about and tested upon; they are to be experienced. Through these experiences, Waldorf students cultivate their intellectual, emotional, physical and spiritual capacities to be individuals certain of their paths and to be of service to the world. Teachers in Waldorf schools are dedicated to generating an inner enthusiasm for learning within every child. This eliminates the need for competitive testing, academic placement, and behavioral rewards to motivate learning, allowing motivation to arise from within. Waldorf Education is independent and inclusive. All academic classes are infused with art to encourage creative thinking, inspire self-discipline, and deepen the students' understanding of subject matter. Courses such as painting, drama, chorus, and movement support the academic lessons while practical arts—weaving, woodwork, and metal work—foster self reliance and a genuine engagement with the world. Waldorf Education upholds the principles of freedom in education and independent school governance. It truly offers inspired learning in hundreds of schools worldwide. 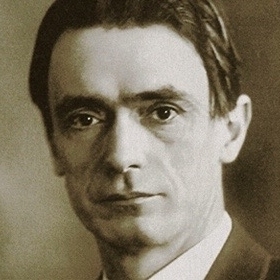 Rudolf Steiner (1861-1925), an Austrian philosopher, educator, scientist, artist, and the founder of Waldorf education, emphasized the importance of achieving balance in the three realms through which a person relates to the world—the realm of thinking, the life of feelings, and physical activity. Consistent with his philosophy called anthroposophy, Steiner designed a curriculum responsive to the developmental phases in childhood and nurturing of children’s imaginations. He believed that schools should work with the developmental needs of children rather than the demands of the government or economic forces, so he developed schools that encourage creativity and free-thinking. This head, heart, and hands synergy forms the essence of Waldorf Education, and it nurtures each child's self-reliance, while building personal integrity and a sense of social responsibility. Subsequent findings of eminent child specialists such as Jean Piaget, David Elkind, Joseph Chilton Pearce, and members of the Gesell Institute confirm the soundness of Steiner's approach to education. For more information about Waldorf Education and the Association of Waldorf Schools of North America (AWSNA) visit Why Waldorf Works. “The true aim of education is to awaken real powers of perception and judgment in relation to life and living.